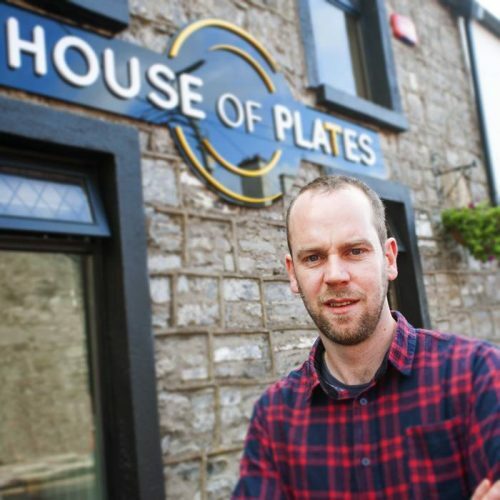 House Of Plates is a contemporary restaurant in Castlebar with a focus on small and sharing plates. The restaurant is family owned and operated by Barry and Helen Ralph. Barry is an award-winning chef with over 18 years’ experience running restaurants. We are a casual, contemporary restaurant with a focus on small and sharing plates. We are passionate about using locally produced, seasonal and artisan foods. We have a team of food partners from the surrounding locality and region. Our restaurant is decorated in a rustic industrial style using as much recycled material as possible, for example our wine rack and benches are made from pallets, our tables are made from reclaimed wood and piping, our chairs were bought second hand from the Basilica in Knock Shrine. Our aim is to be as sustainable as possible. We do this by always following our mission statement above and our guiding principles. Barry having 18 years’ experience working in the west of Ireland knows what the customer wants and how to achieve it. The key to this is working with the amazing ingredients the West has to offer. We have chosen some food partners that we work some examples are Velvet Cloud Yogurt, Claremorris, Andarl Farm, Claremorris, Achill Sea Salt, Padraic Gannon shellfish, Kilmeena, and our farmer Joe Kelly. We want to provide the best possible service to the customer. All staff receive a high standard of training in not only customer service but also training in the product on the plate. This ensures that customers not only come on that ‘special occasion’ but will see House Of Plates as a restaurant one visits 2-3 times a week. As a young married couple with three young children we want our restaurant staff to work together as one big family. We treat our staff with respect and gratitude and expect the same in return. Working as a team will ensure hardworking staff and a happy work place. The head chef at House of Plates is Barry Ralph. Barry is passionate about the food produce of Mayo and the surrounding region and tries to ensure as much as possible that his ingredients are sourced locally and seasonally. Barry has been a chef for 18 years and is married to Helen. 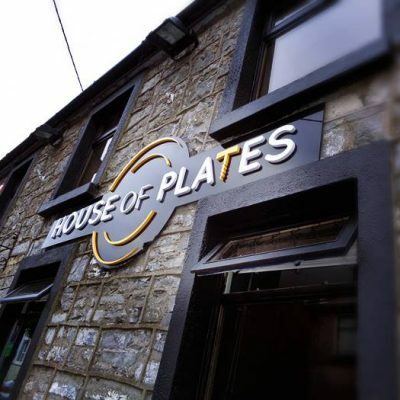 They opened House of Plates as a concept restaurant to introduce a new, casual and contemporary eating out idea in their hometown of Castlebar. Barry trained in professional cookery in GMIT. He has worked in some of Mayo’s leading hotels and restaurants. His cooking has also been noted for a recommendation in the prestigious Mc Kenna Guide, Lucinda O Sullivan and Georgina Campbell Guide to good dining in Ireland.